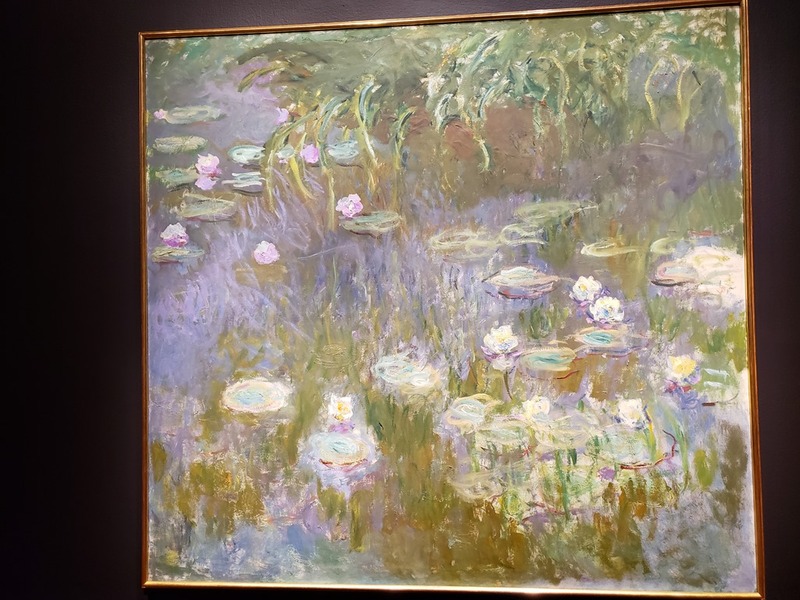 San Francisco’s DeYoung Museum has outdone itself with its stunning 2019 exhibition, Monet: The Late Years. 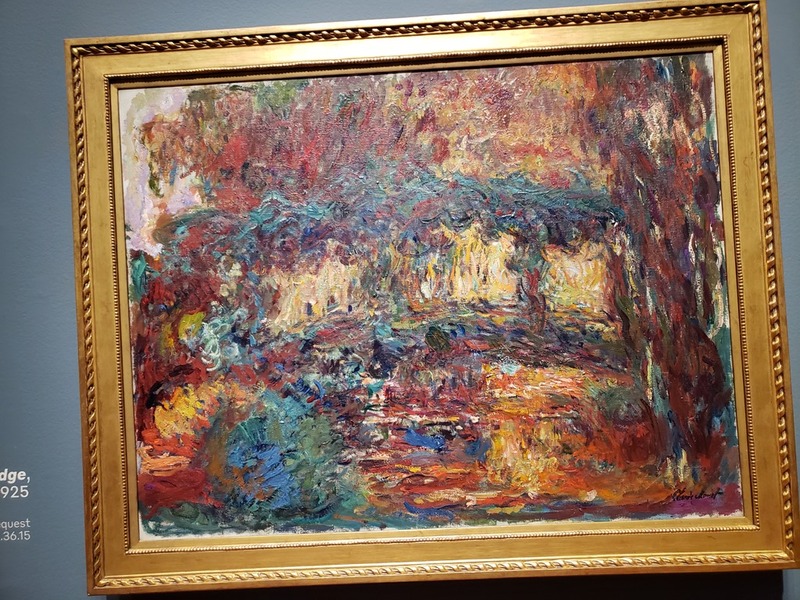 The exhibit covers the last 13 years of the pioneering Impressionist master’s life (1913-1926). 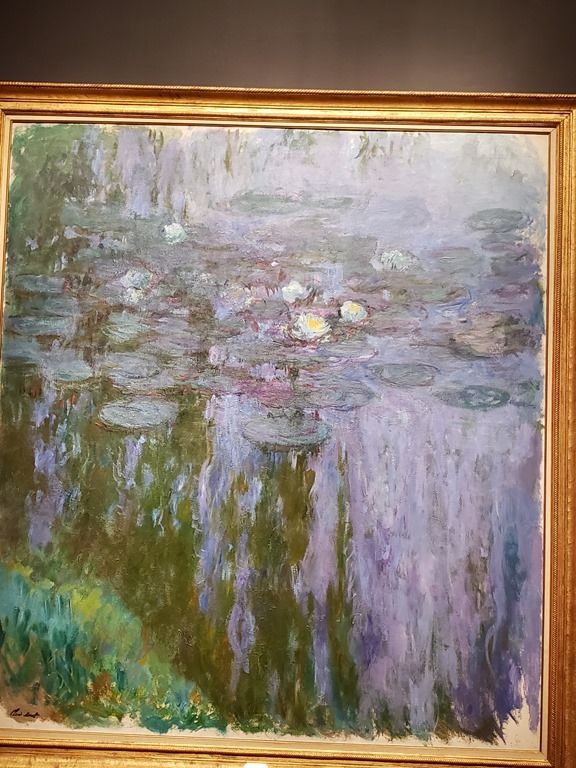 It includes almost 50 paintings of his Giverny home and gardens. Prior to his long-delayed cataract surgery (before which he was virtually blind in one eye and had only ten percent of his vision in the other). Outside of these periods, he continued to paint and to experiment virtually until his death. His new, self-contained “universe” served as an ongoing source of inspiration for continually exploring new perspectives, new ways of portraying the effect of ever-changing light and weather, the use of color, the nature of reflections and the balance between representation and abstraction. He even changed his technique by adopting bolder, almost slashing, gestural brushstrokes. 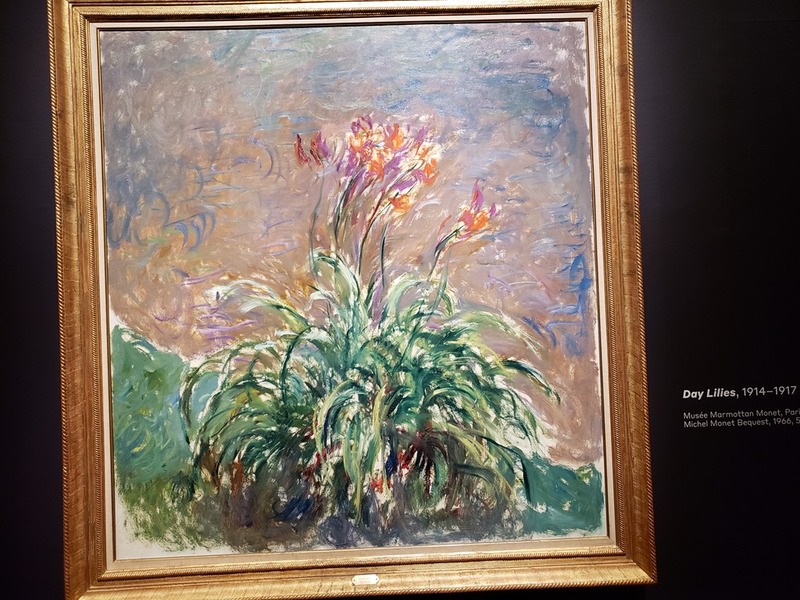 The exhibition’s large-scale paintings portray many facets of his estate: his home, the paths that laced through his gardens and all types of plants and flowers. 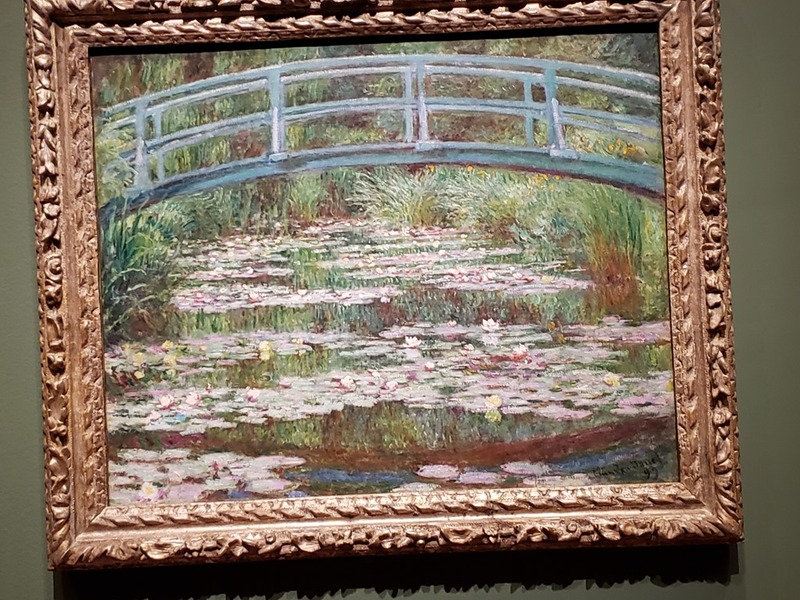 He, however, kept returning to his beloved pond, with its waterlilies, its Japanese-style footbridge and the huge weeping willow that loomed above it. 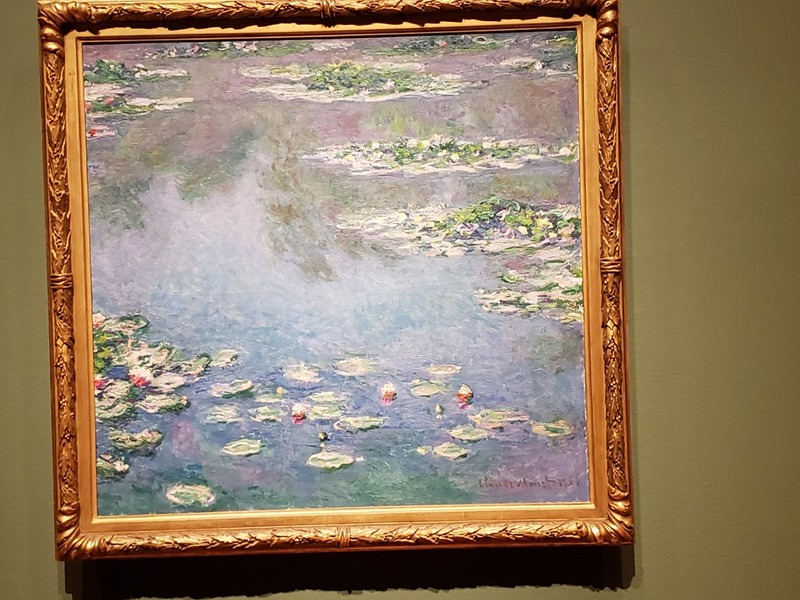 Many of these works highlighted one of Monet’s overarching obsessions—the ever-changing reflections displayed on the pond’s surface. The vast majority of the exhibition works reprised the artist’s traditional palette of soft, light, largely pastel-shades based on only nine paint colors that often blurred into each other. Yet it also contained some of his last works which took on a very difference appearance. They included darker, fall-like colors including deep oranges, and even browns, which had long-since almost disappeared from his palette. All, however, were products of long-intense hours of work and continual self-doubt and consternation. 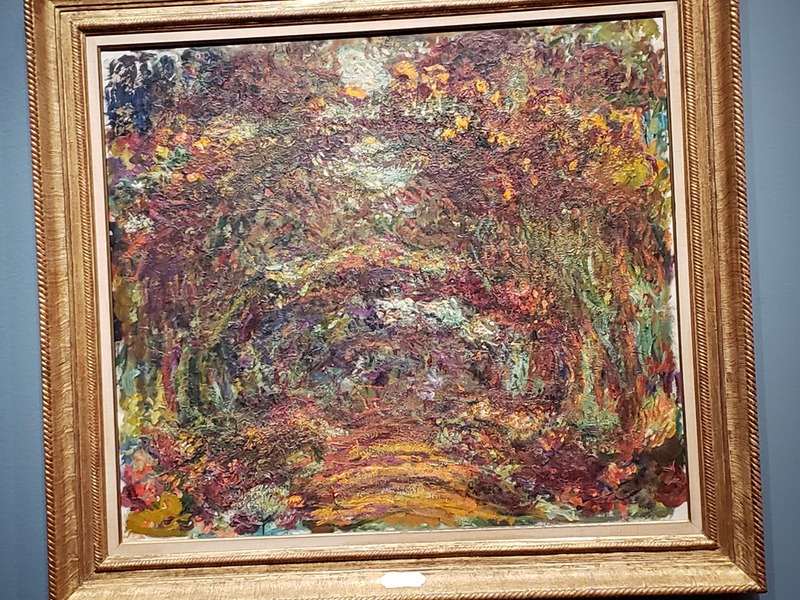 After years of great critical and public praise and robust demand for his work, much of Monet’s later work, like that of his very early career, met with limited commercial acceptance due to a combination of his radical, new style and the large scale of the paintings. None of this, however, diminished their long-term popularity or the artist’s influence of new generations of artists from Henri Matisse and Vassily Kandinsky in the early 20th century, through Post-WWII Abstract Expressionists like Ellsworth Kelly and Sam Francis—all of whom readily acknowledged his impact on their work. While many of the works in this exhibition are masterpieces in their own right, they also served as preparation for his massive, 300-foot long, 6.5-foot tall Grand Decorations, a ten-year project that resulted in a multipart installation that he gifted to France in commemoration of those who gave their lives in WWI. This work is now displayed in a special oval-shaped room in Paris’ Orangerie. 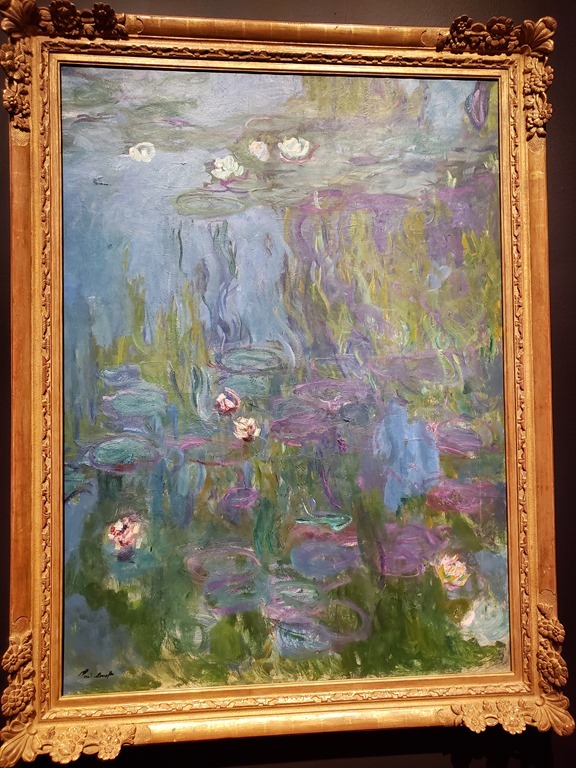 Overall, Monet: The Late Years is a very worthy follow-up to San Francisco Legion of Honor’s (the DeYoung’s sister museum) 2017 exhibition, Monet’s Early Years. Perhaps the city may soon be due for a portrayal of his middle years! But in the meantime, after getting your fill of waterlilies, take a few minutes to walk upstairs to view the DeYoung’s other major exhibition on the very different subjects and style of one of Monet’s contemporaries—Paul Gauguin.